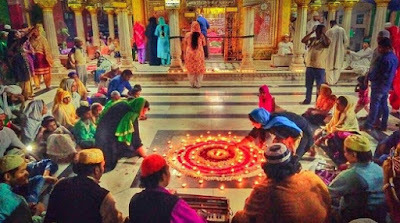 On the left is the photograph of Diwali celebration at Dargah Hazrat Nizamuddin Auliya in Delhi. 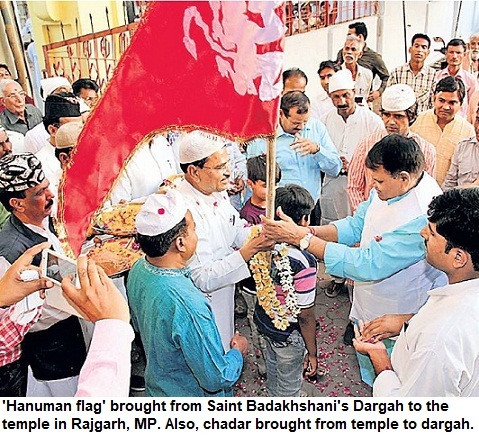 This is just one of the umpteen such photos that show how Dargahs-Khanqahs have been celebrating Hindu and Muslim festivals together. 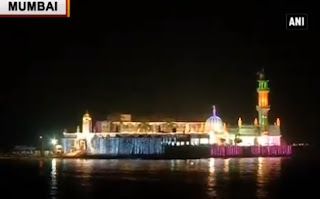 There are photographs of Haji Ali, the famous Sufi Shrine in Mumbai, lighting up on the occasion of Diwali, too. This photo is also attached here (on the right). That's how we have been living and celebrating together, for ages. Muslims have been celebrating and joining the festivities with Hindu, Sikh, Christian and devotees of other faiths. 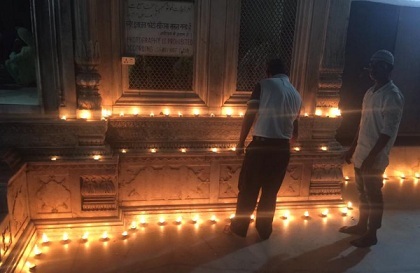 And it's true for adherents of other faiths too. Whoever believes in harmony and humanity, would always share his neighbours' festivities. And someone who is a bigot, will always see negativity even in the most positive things. The first photograph is courtesy Delhi Karvan.